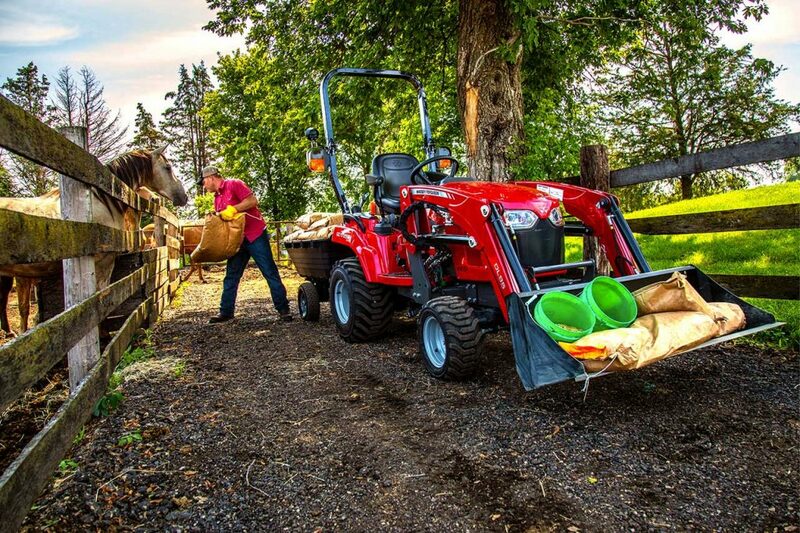 The Massey Ferguson GC1700 Series sub-compact utility tractors provide versatility for landowners. Whether you have a large-scale farm or small acreage, these tractors are powerful, yet easy to use- making them a perfect fit for everyday chores. Take care of all your mowing, loading, backhoe work and snow-blowing, easily with the same tractor. Meet the “Swiss Army knife of compacts.” Give us a call today! Qualify for 0% Financing for up to 84 months!